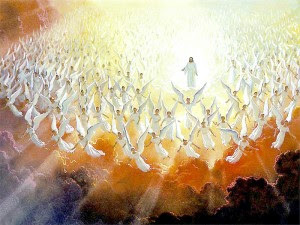 Affirmation: I believe I am surrounded and supported by Christ and His legions of Angels and spiritual guides. I am empowered and feel nurtured when I stop and recognize their presence. 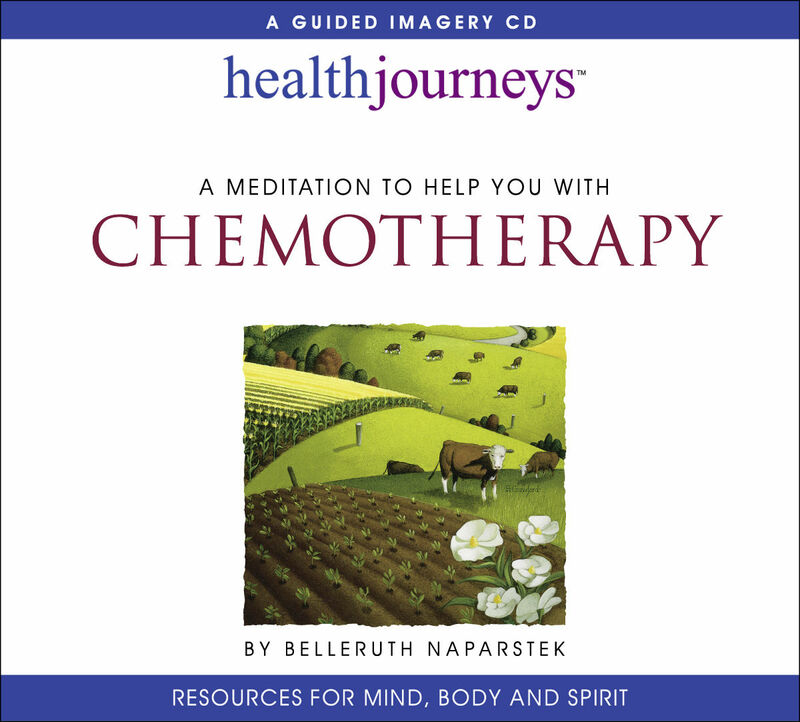 When I first listened to Belleruth Naparstek's CD, Guided Mediation to Help with Chemotherapy I was greatly comforted by her description of spiritual beings who came to assist me with my healing, "some of which look familiar." As I listened I clearly envisioned the presence of several ethereal beings and yes, one looked very familiar. He was my father, Francis Grolimund, long deceased but whose memory and presence always seems to be lingering about me. I've listened to and played that recording dozens of times. I love to end a yoga session with it. It's full of hope and tools to encourage healing. I've been dealing with a chronic ache the last year and a half and found myself feeling weak and discouraged. 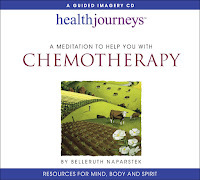 I'd done all within my power to help my body heal, much of which revolved around alternative healing. I did go the western medicine route also but that too did not present an answer. When I journal I'm usually writing a stream of consciousness. I do always try to focus on three joys from the day before and list one for the day to come but otherwise it's just my form of rambling and dumping. It's a gift I give myself. I love the practice. One day, however, I remembered my friend's approach to her morning ritual. Joan Junginger often talks about her "coffee with Jesus." 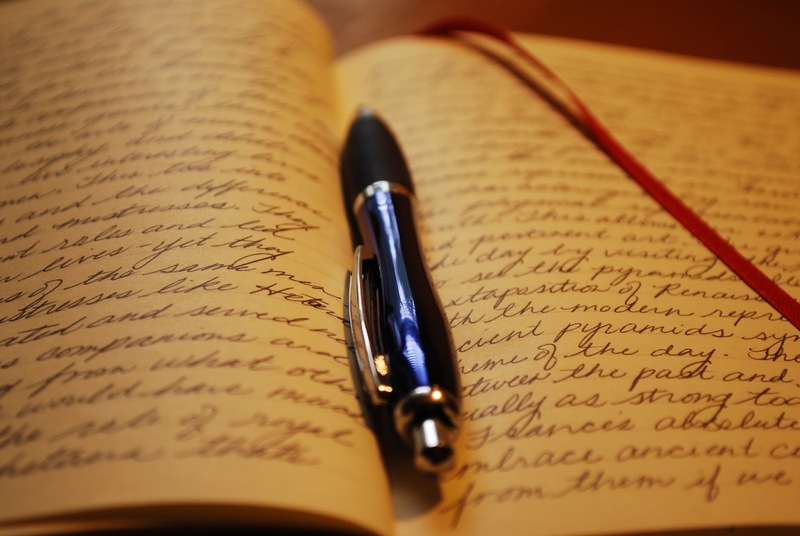 Periodically I've tried writing to God or the Angels. It never seemed to resolve anything but I was becoming quite desperate and decided this one morning to give it another try and to write that letter to Jesus and see if anything new appeared. When Joan, cofounder of The Heart's Journey, leads retreats which she recently did for a large group of women at St. Michael the Archangel and which I had attended, she normally encourages the participants to write such a letter and then she instructs them to write a letter to themselves from Jesus. I heard some remarkable stories from a few of the women who had been doing this exercise for a several years. I'm sure that's why the journaling on this one morning was taking on a new twist. As I wrote out my concerns to the Lord I found a name appearing on the page that I hadn't thought about in a very long time. This woman, Suzanne Egan, is a massage therapist and a health and wellness coach. She's lived and worked in my area for many years and is very knowledgeable about the different physicians and practices. I had struggled with a hip issue for many years when I first showed up at her practice and with her guidance I was led to Sangini Rane of Apex PT, who specializes in Postural Restoration Therapy and who guided me to a pain free hip. After my journaling was done I immediately contacted Suzanne. Luckily she was still at the same number. She responded right away and had several suggestions for my latest challenge that I had not fully investigated. Even better was the fact that she had a couple of clients who had dealt successfully with the same issue. She contacted them and got their referrals and then made a few more recommendations of her own. I know you've had this experience too. I was being given the gift of hope. as I begin my journaling. 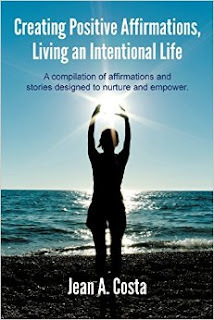 It's on the last page of my book, Creating Positive Affirmations,Living an Intentional Life. Lord, be united with me this day and always. I invite You and all those who nurture and guide me, seen and unseen to aid me in bringing glory and honor and praise to this gift of life You have so generously given me. This particular morning I found myself picturing those spiritual beings manifesting themselves around me but it felt different. For the first time I felt the presence of a legion of beings, not just the few I'd always called upon. I felt like a curtain had been raised. I hadn't been able to see everyone who answered my call until that day. I had been limiting God's response. I was shocked to realize my small mindedness. I've always known we get to choose whether to go to God in prayer with a thimble, a bucket or a pipeline but I hadn't let the knowledge go from my head into my heart and this day, for the first time, it weaved it's way right down into the center of my being. I created a new affirmation to cement the concept and have been saying it and writing it every day since then. I believe I am surrounded and supported by Christ and His legions of Angels and spiritual guides. I am empowered and feel nurtured when I stop and recognize their presence. I've even had visions of those animated armies you see in some of the sci-fi films. The ones where the beings cover the entire landscape and keep coming over the hills and ridges. I know it sounds extreme, maybe a little (?) crazy but just like all my affirmations, it brings me a sense of calm and even power, which I had misplaced while dealing with this issue. I've followed Suzanne's recommendations and I'm saying my affirmation daily to tap into the Divine army available to my loved ones and me. I can't tell you at this time if I'm cured but something very deep within me has shifted and I am not carrying around that initial sense of weakness and powerlessness any longer. I've been here before with other physical challenges especially with my hip and many years ago with breast cancer and I must say this is a good place. My heart and my head are finally united and I'm in a place of hope and positive expectation. I share this with you in case you too have been going to God with just a small container, not attaching the pipeline that is right there in front of you. 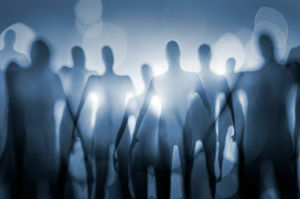 Perhaps, you too will begin to envision a legion of spiritual beings surrounding you and protecting you and giving you the support with whatever you're dealing so that you too will experience hope and peace and feel strong and powerful. "May the power of angels come to greet you may they lead you to paradise," both here and in the hereafter. I treasure your spirit! So thankful for your affirmations ministry--it has brought such wonders in this last month.